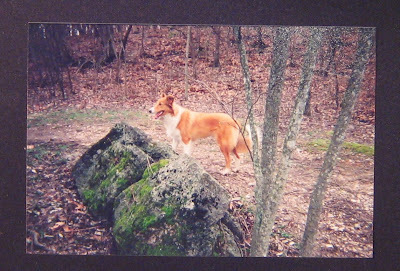 For the last 14 years, we've been lucky enough to have a sweet collie girl named Paisley Maree. She came to us at the ripe old age of 3 months when her previous owners decided to have her put to sleep because she had a problem with fleas and mange and they didn't want to bother with her. Their loss was our gain. The vet was a friend of ours and was at our house when that call came in, to have her put down. She immediately offered her to us and we jumped at the chance. I mean, who doesn't love a collie, or the thought of having one? Turns out, collies are the NICEST dogs. And Paisley, who had every reason in the world to be miserable (infection raging, pustules flaring, sores weeping, and many flea bites, etc) was the happiest little puppy with the most tremendous spirit. She looked positively gruesome but we didn't care, we fell in love with this pup at our first meeting. All she wanted was to cuddle and play and scamper. So undemanding, she would take a nap where ever she was and that pink chair was a favorite spot, she would stick her head under there and snooze. The vet convinced us that her face would eventually grow hair (they later admitted that they didn't really know that for sure but were hopeful) and we treated her mange with a daily dose of Interceptor, a once-a-month heartworm pill. It was sort of an expensive experimental treatment, not one recommended by the AVMA, or whatever it's called, but it darn sure worked. About 60 pills later, she was clean of mange mites. 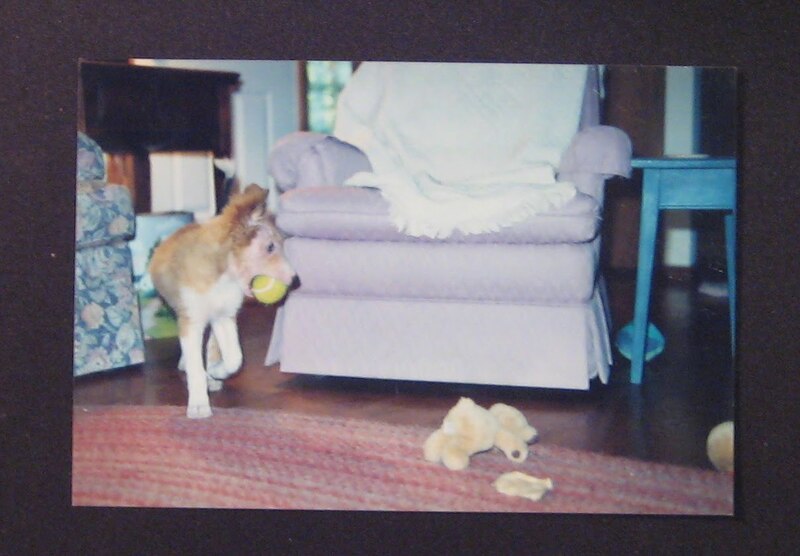 She grew up to be just like she was as a pup, happy, fun and calm, but quirky. She would go for a walk (before we had a fence) and always come home toting something, either she'd find an old bottle in the woods or tree branch, a long deer or cow bone, something, it was a riot. Paisley and I were really close, she wouldn't leave my side when I was sick in bed for a week, many years ago, and she continued to show that same kind of devotion for her whole life. She and the other dogs had a game of stealing Daddy's hats. She didn't much like to wear them, though. 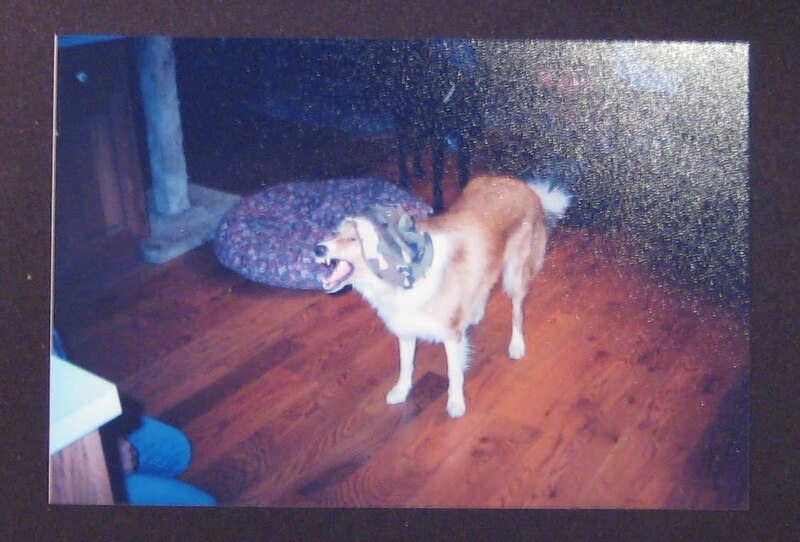 :) Camo was not her color. She was a real beauty, in our eyes. Paisley had a few other problems, but nothing we couldn't deal with. She never lost her appetite, meals were a favorite time of day for her. Monday, July 19, 2010 she had to be put to sleep. Her sweet heart was failing her and she couldn't get enough oxygen in her blood, she was constantly panting hard and no matter what we tried, it was getting worse. She was exhausted, she had given all she had to stay with us and it about killed us to make that final trip to the vet's office. We had her for just over 14 years and it was not enough. I miss my sweet girl but I'm glad she's not suffering anymore. The house feels so quiet and empty and I just hate this. My husband is so good to me, with the extra hugs and pats and kisses. He misses her too, he was the best daddy that girl could have wished for. We'll miss you forever, Sweet Pea. Oh, Sooz. We were just talking yesterday about how people who don't keep animals miss out on a whole other sphere of love and devotion and how absolutely *heartbreaking* it is when pets leave us. I've only just stopped doing the automatic bend and catch when I enter my parents house and wee Dan's been gone 9 years now. I'm glad that lovely man of yours is keeping you close this week. Thinking of you all!!!! Big hugs to you. I feel for you all and what a lucky dog to have you. I'm so sorry Susan!! What a sweet dog, with such sweet parents. I'm sorry Susan, Hugs, hugs and more hugs!!! My best friend when I was a kid was also a collie and he was 14 when he left us too, your Paisley Maree is a beautiful girl. hugs to you at this time, I know how much joy a pet can give you and the pain of their leaving does leave a hole in your heart. Take it one day at a time. Oh my sweet friend. I had no idea. I'm so very sorry for your loss. Big hugs to you in this difficult and sad time. You gave her a wonderful life and she gave you years of happiness and unconditional love. It's so sad when we lose our beloved pets. Oh Susan! I am sooooooooo sorry! Well, I wasn't planning on crying today so thanks a lot! Lucky for me I got to know Paisley and can vouch that everything you said about her is true. She had a great life with you and that's what counts. I hope both of your healing paths will be gentle. How lucky you were to have Paisley that long and bless you for giving her such a good home when she seemed doomed! 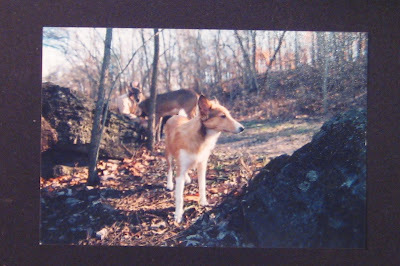 I lost my heart dog 1 Oct 09; he passed away in my arms after the vet came to our house to end his pain. I thought I was going to have a heart attack the days afterward, so I understand your heartache completely. Our animals become so very important to us. Here we thinking that we are taking care of them when, in reality, they are taking care of us. You gave her such a good life and she knew it. Hugs to you, Sooz. What more can I say? Life can be so sad sometimes. Oh Hon, I'm so sorry. I'm so glad you had each other for 14 years. I'm so sorry she is gone. I'm sending you and W best thoughts at this sad time. So sorry to hear your sad new Susan. How richer you are though for having her in your life for so long. I hope all of you (including your other pets) look upon her memories and smile once the mourning subsides. Tess. Hugs to you and your hubby. 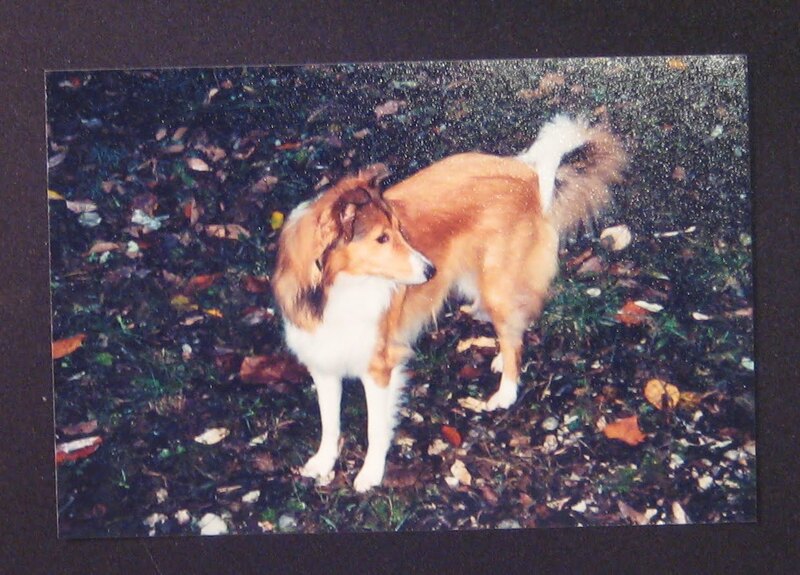 Paisley sounds like a wonderful dog and companion who had a fantstic life with you. What a heartwarming story and what a beautiful girrrl she was both inside and out. I am so sorry for you loss. Thank you for giving her a chance and a wonderful life Susan. RIP Paisley. Oh my, I'm so sorry you had to say "Goodbye" to Paisley. She has a piece of your heart and the memories you have of this sweet girl will be with you forever. It sounds as if you two had that special bond that only someone who as experienced it would understand. She was meant to belong to you and she will be waiting to join your side again someday. Thank you so much for sharing a little of her life with us; stay close to the others as you all help one another through this sad time. oh I am so so sorry. what a beautiful sweet puppy and I'm so glad you were there for her when she needed a loving home. virtual hugs. Susan, I'm so sorry for your loss. Paisley was such a lucky girl to have been with you for 14 years. Thank you for giving her a second chance and for sharing with us. Love your other pups for as long as you can. They'll miss her too. It sounds like you gave Paisley a grand life, and I'm sorry that she had to leave you. Susan, you know that I know what you're feeling. I also know you and your Sweet Pea haven't seen the last of each other. Beautiful, beautiful dog. Our Benji is just under 11 years and is developing some heart problems along with other poblems. I just dread the day we are going to have to make the decision you did, but it is the only kind thing that can be done. Susan, I'm so sorry you've had to say goodbye to a special friend, but it sounds like she had a long, good life with you. Love the picture of her in her underpants! 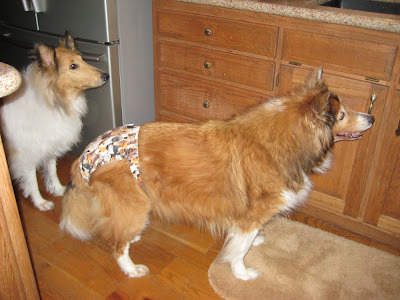 Maya wears underpants too when she's in heat. 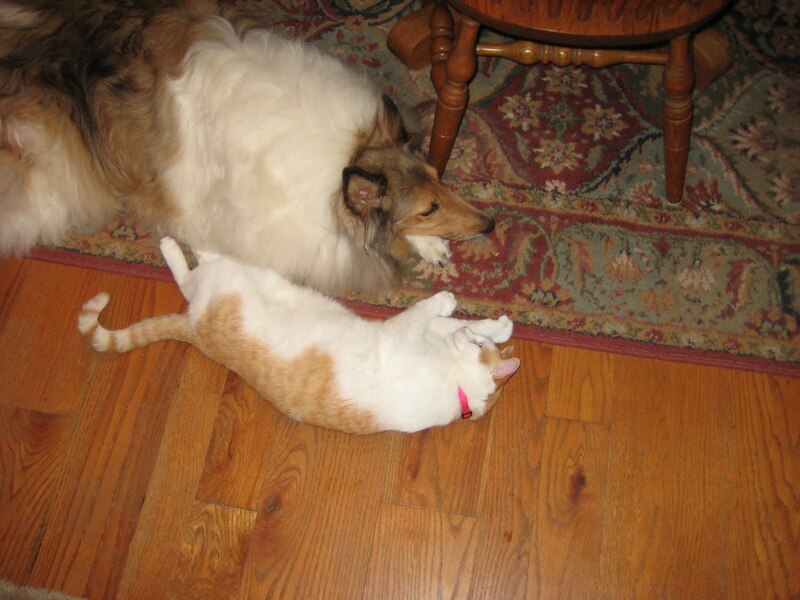 Susan, its so sad to let a loving pet go, but remember that Paisley had the best life with you. You will always have happy memories. Big hugs. 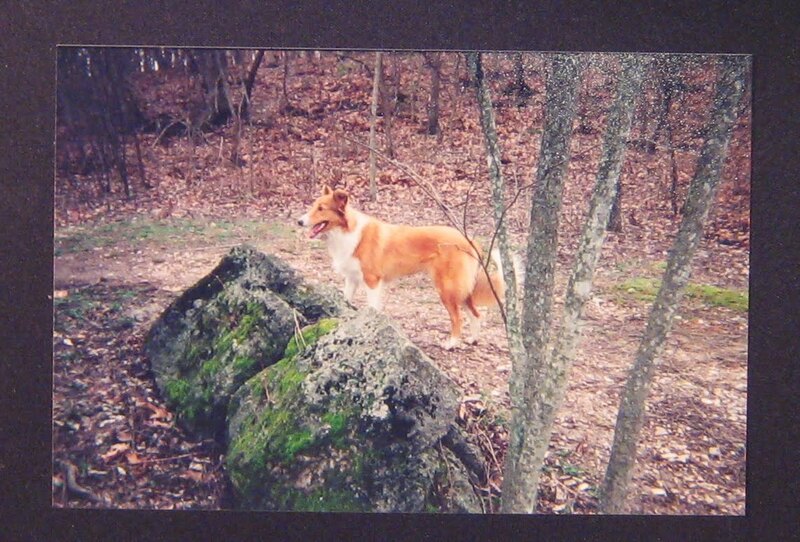 What a wonderful dog, and thanks for sharing your wonderful love and memories. I know how you feel, it's a great lost and a void in our lives when we lost a fur friend. I have 3 dogs and 4 cats and all the dogs were from shelters and 2 of the cats too. They are all wonderful and I love them. Susan so sorry to hear of your loss.